A laser show of sorts greeted whoever entered through the doors of the convention hall, bathing unsuspecting individuals in a multitude of colours as they scrambled through the rows of tables for a spot to set up shop. Lively exchanges, shuffling movement, and the incessant typing on electronic gadgets contributed to the theatrics of this massive event. 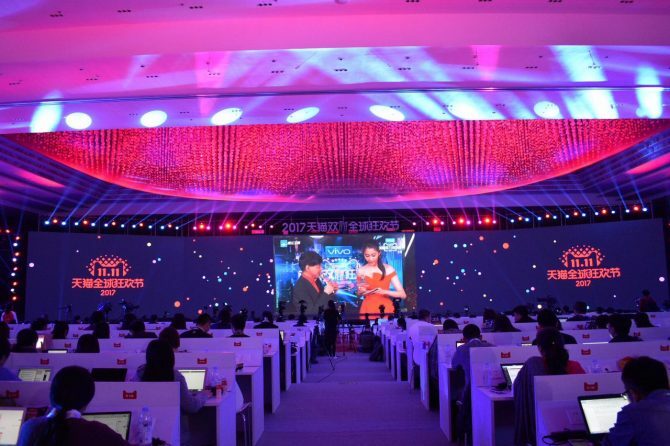 But all eyes were on the sprawling screen that commanded attention with an animated feline ticker, counting down to the launch of Alibaba’s 11.11 Global Shopping Festival in real-time. In several gentle taps, I shared a photo I took off the scene on my smartphone, with the caption: Everyone’s set, armed with their devices, to commence the online shopping frenzy once the minute hand strikes for 11.11. Someone texted back. Fascinating, but consumerism can be at its best and at its worst. Always with the dramatics, my mother that is. But her observation isn’t necessarily inaccurate with concerns centering around privacy and environmental implications that come with excessive consumption. But that’s for another time, another story and another media outlet. 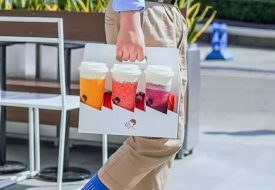 Many may have the preconceived notion that Alibaba is out to make brick-and-mortar outlets obsolete, instead the e-commerce giant seeks to redefine it with the introduction of its New Retail concept. As Tsais has plainly put it, shopping needs to thrill and excite. 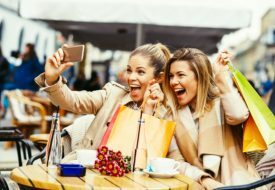 And with Alibaba’s New Retail model, the online and offline realms are merged together to give shoppers an experience like no other. 11.11 Is Coming… And Here Are The Best Deals To Make The Most Of It!